Me and my friend, Jenny have some problems in pimples and acne. We’re having a hard time coping up with acne. We’re using a lot of skin products that available in stores. Some of them has chemical reaction in our skins. We both have sensitive skins. But when we discovered Proactiv, we used it everyday. And we saw some fake Proactiv Solutions products in tiangges, and even in malls. 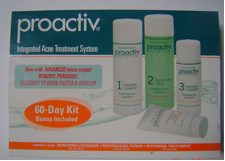 Make sure you buy authentic Proactiv Solutions products. voucher at any Watsons stores. Promo valid until January 31, 2012.
by the cashier’s point of sale machine to effect the discount. Katy Perry’s Concert at Mall of Asia! kit from any of the participating outlets mentioned above. be the basis of entitlement with the raffle entry/entries. customer must read and understand, and signed. same branch where the products have been purchased. 2. 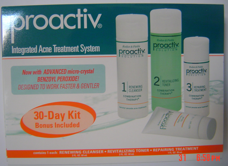 Customer must buy Proactiv kit within the prescribed promo period. for redemption should they win the raffle. Manila! on January 22, 2012 at Mall of Asia Concert Grounds. Official cut-off of the promo purchase period is January 15, 2012. 1. The Prize is not convertible to cash and or to other Proactiv products. of the terms and conditions of redemption procedure. purchase will not be eligible to join the raffle on January 17, 2012.
presented upon claiming the prize. forms and join the raffle! Discount coupons can be used in all Watsons stores nationwide. New Proactiv: Faster and Gentler is now available at Watsons.